When utilising a vehicle, oftentimes people focus on the purpose of the vehicle which is getting from Point A to Point B. Ultimately, the drive behind the purchase is to enhance your convenience for mobility. Of course, there are other aspects of a vehicle such as aesthetics and convenience that come to mind with a brush on a car’s safety ratings. 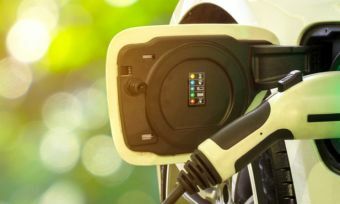 And these days, it seems as though the majority of cars that are being manufactured are receiving five-star ratings from the Australasian New Car Assessment Program (ANCAP). The problem is, not many Australian motorists know what these ratings mean, nor do they understand the extent of safety tests conducted on the vehicles. 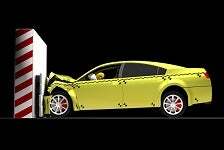 In this article, we hope to clarify how car safety ratings are assessed, with focus being placed in crumple zones which are designed in helping keep you safe in a smash. The purpose of this test is to assess the level of protection provided by the car to its driver and passengers upon collision with another vehicle with the same mass travelling at the same speed. In this test, at least 40% of the vehicle (at the driver’s side), comes into contact with an aluminium barrier at a speed of 64km per hour. Dummies are placed inside the vehicle and are used to help indicate the severity of injuries as a result of the frontal offset test. The majority of modern cars have crumple zone structures concentrated in the middle of the front of the car allowing for crash energy to reduce the force of impact affecting the occupant’s compartment. Frontal crashes that focus on a vehicle’s outer edges aren’t as well protected by the crumple zone when compared to a frontal collision. For example, the LDV G10 received a 9.37 out of 16 frontal offset rating due to its inability to protect the occupants within its vehicle from severe injury. This can be compared to the Toyota Camry which received a 15.16 out of 16 frontal offset rating due to a highly effective frontal crumple zone which is able to absorb the crash energy upon impact thus reducing the damage transferred to its occupants. In order to perform a side impact test, a trolley weighing 950kg is rammed into the driver’s side at a speed of 50km per hour. The trolley is made of a crushable aluminium which stimulates the crumple zone of the impacting vehicle. Again, the ratings are assessed based on the ability of the car to keep its occupants safe from injury. Generally, modern vehicles perform well in side impact tests even if they don’t do so well in the frontal offset test. For example, the Suzuki APV has a 7.54 rating out of 16 for frontal offset and a 16 out of 16 for side impact. The pole impact test is designed to assess how effective the curtain airbags of a vehicle are. In order to test this, the car is propelled sideways at a speed of 29km per hour into a “rigid pole aligned with the driver’s head.” The purpose of the pole is to allow for a major penetration to happen into the side of the car and the curtain airbags are tested on their extent of reducing serious head injury. These tests are purposed to help assess the probability of body injury inflicted upon pedestrians struck by a car with a speed of 40km per hour. 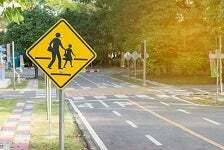 According to the ANCAP statistics, accidents involving collisions with pedestrians comprise of approximately 15% of fatal crashes in both Australia and New Zealand with the highs hitting up to 30% in certain urban areas. Unlike the other tests, the pedestrian test focuses on the result of a third party that is not in a vehicle upon collision. This test comes in two parts. The first being a geometric measurement of the head restraint upon collision and the second being a dynamic test whereby a mounted vehicle seat stimulates a rear end crash similar to when a stationary car is hit at a speed of 32km per hour. When it comes to the whiplash test, several safety features come into play such as secureness of the seat belts as well as the crumple zone structure of the rear end of the car to absorb and reduce the crash impact. SAT stands for safety assist technology and includes additional safety features on top of the crumple zone structure. The essential safety features expected in cars manufactured today should include electronic stability controls which helps a driver maintain control of the vehicle when attempting to avoid hazards, curtain airbags designed to provide protection for your side head, and an auto emergency braking system for avoiding and reducing the severity of crashes from the rear end. Article produced with the help of Sheen Group.